Ever bought something at the store and wanted to return the item only to find that the sales associate needs to talk to the supervisor who then needs to talk to the manager and in the end they tell you the return policy is not valid but you see the person next to you return the same exact item? Ever had a friend who decided they will be friends with you one day, not friends the next but friends on the third day and so on and so forth? If you have experienced these scenarios then it was probably when you were extremely young and the reality probably is that you didn’t take it sitting down. After a while you probably decided “there’s no need for this friendship” or that you were not going to put up with the stupidity of the back and forth and uncertainty. Well, if you wouldn’t put up with it in your friendships and with the general public then why would you put up with it in your relationship? I don’t mean the everyday small disputes that every relationship has but I do mean staying in a wishy washy relationship, the kind where it’s just the constant back and forth with no real direction. These relationships are traps, trust me. They don’t start like this but after the comfort-ability sets in then the reality sets in. One minute things are great, the next things are horribly sickening but in a short notice’s time things are good again. You set your hopes and expectations on what the future will be and promises/ plans that are established but low and behold when the time does arrive none of these promises or plans come to pass. The problem is you’ve already invested your time, made this relationship public and now would seem like the less befitting time to back away from it. Hence you invest more of your time and energy and still nothing changes. 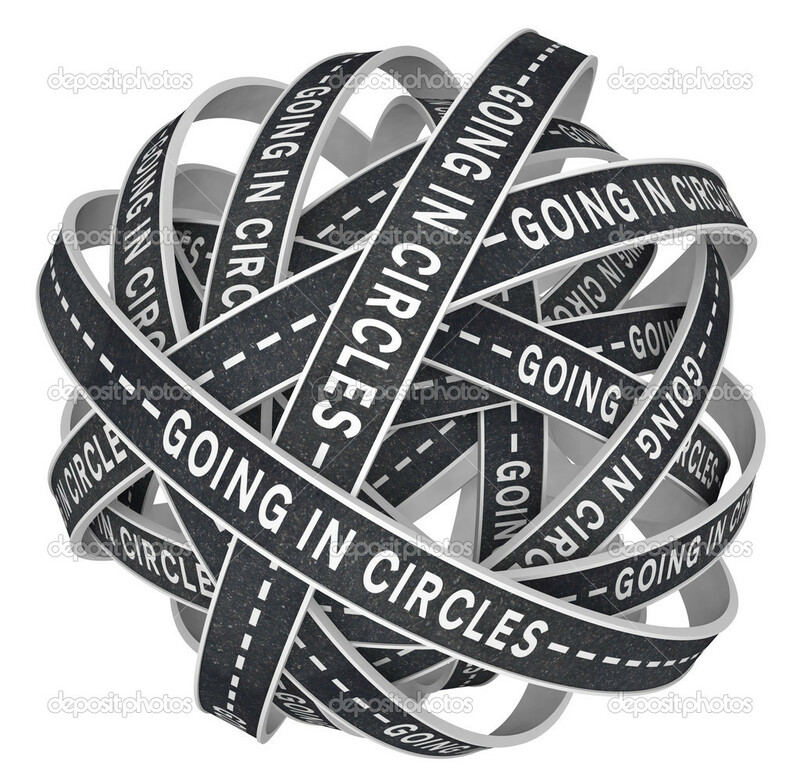 By this point you have decided to deal and contribute to “the run around”, a cycled relationship that is continuous in going nowhere but in circles. Not only are these relationships completely draining and time consuming but they won’t enhance your life. Plans that are talked about and set will never come to be. Promises that are made will never come to pass. If you wouldn’t put up with “the run around” with your friends then don’t put up with it in your relationship. Everyday invested in this cycled “relationship” is a day wasted. Your time is way too precious for that.